And none of the sugar. Scene from a supermarket. 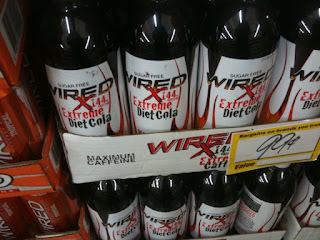 something is quite unsettling about a drink called "wired" and them xtreme. I don't know about this one.